For most of us, shopping has moved from travel agents and the telephone to the Internet. Travel Web sites have given consumers access to enormous amounts of information — too much information for many people. Still, with a few smart clicks, you can wade through vast amounts of fare data. Here are some tips to land great deals. In general, the cheapest days and times to fly are Tuesday, Wednesday, and Saturday afternoon, when airlines usually have the weakest demand for tickets. When you shop for tickets can affect the price as well. The worst time to shop is on the weekend — just the time many people are also shopping! Airlines tend to file price increases on Thursdays to see if competitors will match over the weekend. If rival airlines don’t follow, the price increases can be rolled back by Monday morning before business travelers start buying again. Fare sales typically begin on Mondays and often expire on Fridays. So in general, Monday through Wednesday are the best days to buy. Change of plans: Most U.S. airlines allow buyers of nonrefundable tickets to hold a reservation for 24 hours or will provide refunds if you cancel within 24 hours. Advance cancellations, schedule changes: If the airline cancels your flight or changes its schedule, you can request a refund or rebooking. Airline problems: The airline must offer you a refund or pay for accommodations if you are stranded because of a problem caused by the airline. Weather problems: You’re on your own. Some airlines may offer discounted rates at hotels. Some airports provide cots and blankets. Delays: No compensation. Airline ticketing contracts promise to provide a seat on the next available flight. Typically, I start a search using Orbitz.com because I find its pricing matrix the easiest to navigate of the online travel sellers. Lots of people like Kayak.com because it searches not only online travel agencies but also airline Web sites themselves, and then offers a one-click link to whichever Web site had the price most appealing to you. Mobissimo.com is another popular site that searches multiple ticket-selling sites at one time, including ticket consolidators and other ultra-cheap outlets. Find the site that you are most comfortable with. It’s unlikely one will have prices that differ significantly from the others. One way to expand your fare search automatically is to install a tool on your computer from SideStep.com. With this tool, every time you search for airline tickets, either at an online travel agency or an airline itself, a SideStep box opens on your screen and asks if you want SideStep to conduct the same search. SideStep, which has merged with Kayak, goes out and makes an inquiry for you at some 200 different places — Web sites of discount airlines, for example, that may have cheaper prices. It’s a handy way to boost your search power. A tool popular with road warriors is found at ITA Software’s itasoftware.com. ITA can list different flights by many different factors, such as the trip’s duration or connection times. It can create its own connections and routings, sometimes producing cheaper prices but with bizarre routings. It may turn out that the cheapest way to get from Los Angeles to Cleveland is to fly via Boston. But do you really want to connect in Boston? One handy feature of ITA’s search engine is that you can search for multiple destinations just by stringing them together in the Destination box. Suppose you want to go to Europe, but are indifferent about where you want to land. You can put lots of airport codes or just the city names in the destination box, separated by semi-colons, and one search will list loads of flights, with the cheapest listed first. 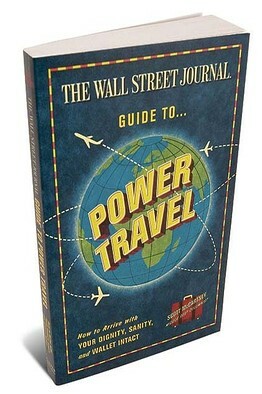 Adapted from The Wall Street Journal Guide to Power Travel: How to Arrive with Your Dignity, Sanity and Wallet Intact by Scott McCartney. Copyright 2009 by Scott McCartney. Published by Harper, an imprint of HarperCollins Publishers. Another of FareCompare’s niftiest features: Search for the lowest prices from your departure city world-wide. There may be times when you are indifferent about your destination — you just want to go to the beach, cheap. Meanwhile, Farecast.com predicts whether the price of a ticket will likely rise or fall. In addition, you can see what the cheapest price was over several weeks. That can be helpful in trying to determine the best price. Some of the lowest-priced tickets available are found with airline ticket consolidators — brokers who take seats from airlines and sell them at deep discounts. Think of them as the outlet mall for airlines. There are flights that airlines know won’t fill at published prices, and to avoid fare wars with competitors, they dump seats with consolidators. Use usaca.com to search for consolidators, but be careful. While the savings can be substantial, the tradeoffs can be significant: With some consolidator tickets, you may not be eligible for frequent-flier miles, or, more importantly, pre-reserved seat assignment. You often don’t get to pick your airline or your route, and there may be a broad time window of when you agree to travel. You pay the cheapest price, and you are on the bottom of the service totem pole. Another option to consider is buying a package tour, which may or may not include a consolidator’s ticket. Online agencies such as Expedia, Travelocity, and Orbitz have gotten quite skilled at putting together packages. The magic comes mostly from the travel vendors negotiating special rates with hotels. Happy hunting. May you always pay less than the person sitting next to you.